FLEXWRITE TECHNICAL DOCUMENTS combines the flexibility and cost competitiveness of independent professionals with the quality of a well-equipped service provider. Our services include the creation, translation, and illustration of technical documents and related commercial documents. We are committed to providing you with a complete range of services to turn your document issues into a thing of the past. Today users demand documents that can be published to many platform: from PDF to wrist watches. Flexwrite uses Madcap™ Flare® single-sourcing technology to create and publish manuals, procedures, websites, flyers, help files, training guides, knowledge bases, and much more. We convert your legacy material from any format into HTML-5 Help Files that are easy and inexpensive to update, translate, and publish. The content of your websites, brochures, flyers, operation and maintenance manuals, even technical correspondence must be the same in any language. 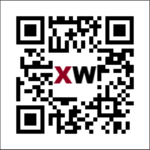 Flexwrite uses Translation Memory and Terminology Data Banks that ensure consistency and accuracy now and in the future. By employing only translators with relevant technical backgrounds, we ensure that your message is the same anywhere. Technical Documents must provide immediate and complete communication as quickly and as efficiently as possible. Flexwrite applies well-integrated illustrations to all documents. Graphics and pictures are embedded where they are mentioned in the text, rather than using indexes, reference numbers, or pages. We follow ISO 3864/ANSI Z535.6 standard safety symbols to make your documents easily understood and legally compliant all over the world. We create symbols that are specific to your product, following the ISO and ANSI guidelines. Instant e-Commerce PDF documents may now integrate price lists and shopping carts. Your entire inventory can be online without the complicated and expensive database maintenance services normally associated with e-commerce sites. Your customers can order and receive the exact parts without ever making a phone call. Since it is very easy to update, any change in your parts control process can be online in minutes. For small retailers, this means that a corner store can now compete is online agility with the largest retail chains. 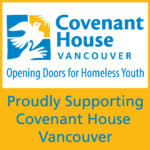 Join us in supporting the 1,300 youth who seek out the help of Covenant House Vancouver every year. Whatever you can give will help – it all adds up!